So I do in fact have time to make a post. Yay! So everybody can thank my girlfriend for today’s post! She’s been addicted to Tetris for awhile now and she just sent me this “classic” version a well known game. 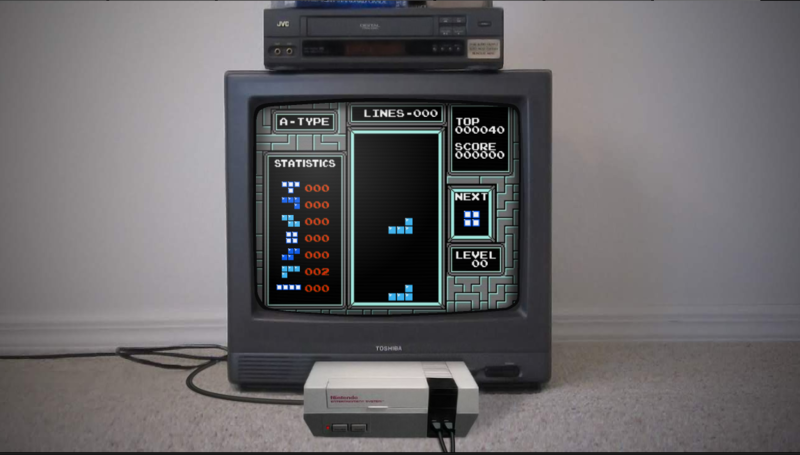 firstpersontetris isn’t simply the classic game stuck into a television screen. No, it has a VERY unique twist and I do mean that quite literally. When you rotate a block, you rotate with it. It got me dizzy the first few minutes playing, but I’m sure some of you have stronger stomachs. Try it for your self, the link opens to a web page with the embedded flash game. So after mentioning going over Spelunky, I remembered a really great rouge-like I had encountered back when the DS had a flood of great home brew games. Powder was one of them. But don’t worry, its available on other platforms other than the DS. Just head on over to the download page. Powder was actually my first encounter with a rouge-like. 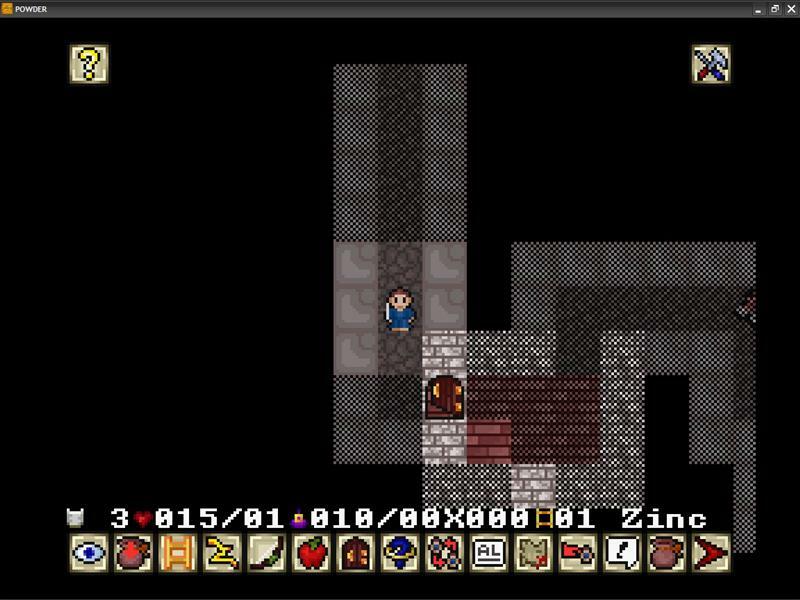 I had never played the infamous NetHack which was a flood of clones followed in its wake. Powder however, isn’t just a clone. Its a damn good one. It has the expected aspects of a rouge-like; pick a race, select a class, roll some stats, start with some random loot in a randomly created dungeon, and all that good stuff. But it also provides the player with many different actions. I had the most fun with the assortment of magical spells that ranged from digging through walls and sprouting forests. There are also many different items with an even wider range of effects and abilities. With so much randomly generated content, it is quite hard to experience the same game twice. The overall goal is to reach the last level (level 100 I believe) and kill the boss, Beelzebub. I have yet to come even close to the last level, but I have more fun summoning zombies and growing random forests anyways. The game has no sound, which I thought was a disappointment, but nonetheless is a great game. I only found disappointment with the lack of sound, but nonetheless is a great game and worth a try.